The Nanomedicine has grown in a advanced and promising field of research in medical sciences using fundamental basic sciences. The development of nanodelivery systems using various nano size devices like gold nanoparticles, silver nanoparticles, CdS, fullerenes, carbon nanotubes, liposomes and other similar other systems. Also the drug designing has used nano concepts to bring out the medical applications. The Nanomedicine research in earlier stages oriented around the basic sciences for fundamental concepts development. Now, at present, the research in nanomedicine has progressed past the initial stages and many system (mainly drug delivery systems) has reached to clinical applications. As the researchers throughout the worlds slowly got associated and attracted towards the nanobiomedical developments, a large many labs has progressed towards the development of systems with potential for medical applications. So the publishing of research from nanomedicine has also progressed from fundamental to applied nanomedicine. Keeping the pace with time, the research from NanoMedicine field should be published in ‘Applied NanoMedicine’. The Applied Nanomedicine publishes research at nanoscale with potential for clinical applications. 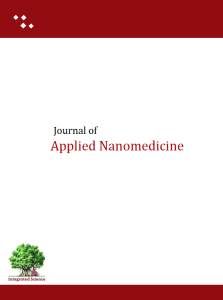 Researchers working in nanomedicine are invited to submit articles (Research articles, short communications, review articles, mini-review articles) for publication in ‘Applied NanoMedicine’. Feel free to contact us for any query through ‘Contact Us’ link (above).